Kick start your fall wardrobe – there’s something for everyone. We believe our Fall/Winter Collection exemplifies our inventive spirit and dedication to provide you with comfortable and stylish shoes. Enter now for your chance to win! Yes! I’d like to receive future marketing emails from Florsheim Shoes. If enrolling in Florsheim email list, you may unsubscribe at any time and it will not affect your chances of winning. NO PURCHASE NECESSARY TO ENTER OR WIN. 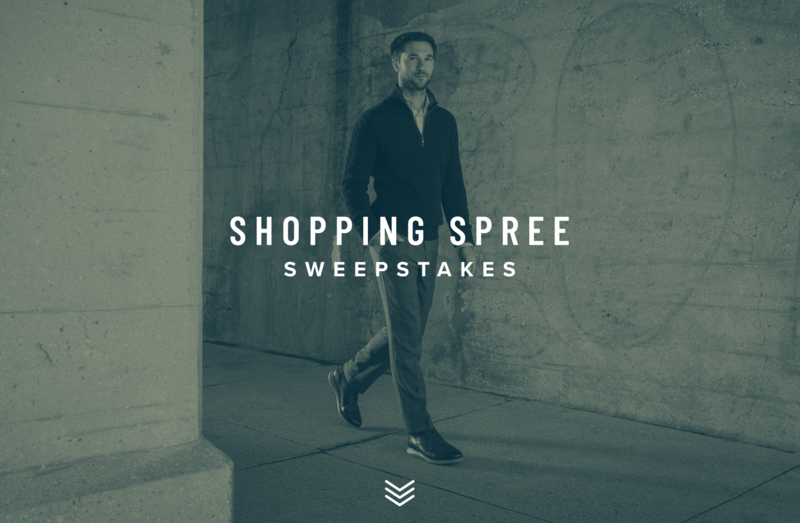 The Florsheim Shoes Shopping Spree (“Sweepstakes”) is sponsored by the Weyco Group, Inc., 333 W Estabrook Boulevard, Glendale, WI 53212 (“Sponsor Sweepstakes begins September 26, 2018 at 12:01 a.m. CST, and ends November 14, 2018 at 11:59 p.m. CST. Open to legal residents of the continental United States, and the District of Columbia, who are 18 or older, except employees of Sponsors, and any other organizations affiliated with the sponsorship, fulfillment, administration, prize support, advertisement or promotion and/or their respective agents, affiliates, subsidiaries, and members of their immediate families or persons residing at the same address. Odds of being selected depend on the total number of eligible entries received before each drawing. Sweepstakes winners are ineligible for the remaining Sweepstakes drawings. 1 Grand Prize Winner: Grand Prize winner will receive a $500 Florsheim Gift Card valid at www.florsheim.com. Click here for full official rules and conditions.